Getting Close to Retirement: Now What? You've worked hard your whole life anticipating the day you could finally retire. Well, that day is right around the corner! This time is certainly exciting, but with it comes the realization that you'll need to carefully manage your assets so that your retirement savings will last. Traditional wisdom holds that retirees should value the safety of their principal above all else. For this reason, some people shift their investment portfolio to fixed-income investments, such as bonds and money market accounts, as they approach retirement. The problem with this approach is that you'll effectively lose purchasing power if the return on your investments doesn't keep up with inflation. While generally it makes sense for your portfolio to become progressively more conservative as you grow older, it may be wise to consider maintaining at least a portion of your portfolio in growth investments. A good financial planner can help you match your needs with your resources to establish a reasonable rate of withdrawal. Don't assume that you'll be able to live on the earnings generated by your investment portfolio and retirement accounts for the rest of your life. At some point, you'll probably have to start drawing on the principal. But you'll want to be careful not to spend too much too soon. This can be a great temptation, particularly early in retirement. A good guideline is to make sure your annual withdrawal rate isn't greater than 4% to 5% of your portfolio. (The appropriate percentage for you will depend on a number of factors, including the length of your payout period, other income sources and your portfolio's asset allocation.) Remember that if you whittle away your principal too quickly, you may not be able to earn enough on the remaining principal to carry you through the later years. Give your retirement budget a test-drive before you retire. Most pension plans pay benefits in the form of an annuity. If you're married you generally must choose between a higher retirement benefit paid over your lifetime,or a smaller benefit that continues to your spouse after your death. A financial professional can help you with this difficult, but important, decision. Other employer retirement plans like 401(k)s typically don't pay benefits as annuities; the distribution (and investment) options available to you may be limited. This may be important because if you're trying to stretch your savings, you'll want to withdraw money from your retirement accounts as slowly as possible. Doing so will conserve the principal balance, and will also give those funds the chance to continue growing tax deferred during your retirement years. Consider whether it makes sense to roll your employer retirement account into a traditional IRA, which typically has very flexible withdrawal options. If you decide to work for another employer, you might also be able to transfer assets you've accumulated to your new employer's plan, if the new employer offers a retirement plan and allows a rollover. Many 401(k) plans do not allow for a “stretch” option for non-spouse beneficiaries. This is an important consideration when you are making your rollover decision. Keep in mind that you must generally begin taking minimum distributions from employer retirement plans and traditional IRAs when you reach age 70½, whether you need them or not. If you own a Roth IRA, you aren't required to take any distributions during your lifetime. Your funds can continue to grow tax deferred, and qualified distributions will be tax free. Because of these unique tax benefits, it generally makes sense to withdraw funds from a Roth IRA last. You'll need to decide when to start receiving your Social Security retirement benefits. At normal retirement age (which varies from 66 to 67, depending on the year you were born), you can receive your full Social Security retirement benefit. You can elect to receive your Social Security retirement benefit as early as age 62, but if you begin receiving your benefit before your normal retirement age, your benefit will be reduced. Conversely, if you delay retirement, you can increase your Social Security retirement benefit. 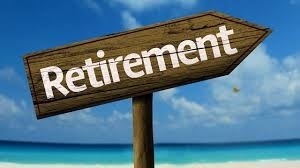 Thinking about working after your official retirement? Remember that income from a job may affect the amount of Social Security retirement benefit you receive if you are under normal retirement age. But once you reach normal retirement age, you can earn as much as you want without affecting your Social Security retirement benefit.